(Bloomberg Businessweek) -- “I had a lot of bricklayers in my family,” laughs Marilyn Hawrys Simons. “At various times, my father, a couple of uncles, my brother, my cousin, all worked laying brick.” They built some of the original structures of Stony Brook University in New York’s Long Island. Now she is the one building Stony Brook, this time with money. The bricklayer’s daughter grew up to be a woman of great wealth and became president of one of the nation’s leading philanthropic foundations. 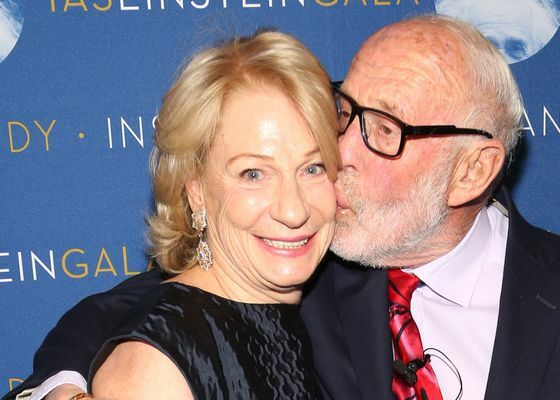 Simons, 68, the wife of hedge fund billionaire James Simons, has rarely spoken with the press. (“Can’t you tell?” she asks.) She gave an exclusive interview to Bloomberg Businessweek to discuss a personal gift of $25 million to the economics department of Stony Brook, which brings total giving to the school by her, her husband, and their Simons Foundation to more than $300 million. Her gift will be used to develop a pipeline for underrepresented minorities and women in economics and to establish a center for applied economics and policy, among other purposes. Simons grew up in Bayshore, N.Y., and was the first woman in her family to attend college. “On my mother’s side, we had a long history of being poor,” she says. She met her future husband, Jim, while she was an undergraduate at Stony Brook and he was teaching math. (He was not her professor.) She got her bachelor’s degree in 1974, married Jim in 1977, and had her first child in 1978. She says she “just kept taking economics courses for fun”—not everyone’s idea of a good time—and was eventually persuaded by her professors to get a Ph.D. in economics, which she earned in 1984. Her doctoral thesis, based on game theory, concerned optimal bidding strategies for multi-object auctions such as the government’s auctions of Treasury bills. Meanwhile her husband had started Renaissance Technologies, a quantitative hedge fund that became hugely successful. (Bloomberg estimates Jim Simons’ net worth at $16.7 billion as of April 10.) Given her interests and their money, she told him they should start a family foundation. When they did so in 1994, she became its president. The Simons Foundation finances basic research in math and the physical and life sciences, as well as autism. Its Flatiron Institute in New York uses computational techniques to advance science. The foundation also sponsors Math for America, which supports teachers, and the very cool National Museum of Mathematics.